August was crazy busy! I spent most of the month out of town! Vegas with Chicken Legs and Sweden/Amsterdam with Amanda (kevinandamanda.com). I am back home for a few days before I head out on another amazing adventure. This month Amanda and I are going to Budapest, taking a 9-day Danube River Cruise and spending a few days in Munich for Oktoberfest! We fly out and spend a few days in Budapest before boarding the MS Sound of Music for a 9 day cruise down the Danube River! We will take tours of Vienna and Nuremburg. All our meals are all made with locally inspired recipes. The best part? Dinner comes with unlimited wine! This sounds like heaven! We are traveling on a Gate 1 tour. It looks amazing! Watch the video to get view of what we will be doing. You can also keep up with what Chicken Legs is doing while I'm gone. He is using hashtag #ChickenLegsHomeAlone on his photos in my feed. I was able to squeeze in a few fun things in August before I headed out of town. We found a new place in Birmingham to watch all the football games. 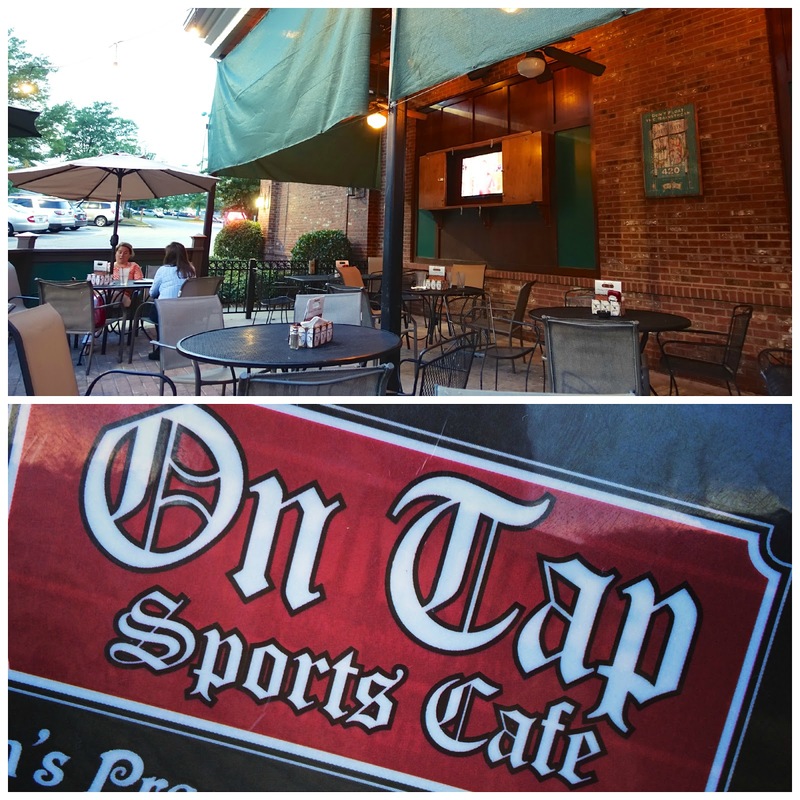 We were invited to check out the new menu at On Tap at the Galleria for dinner. It was a nice night, so we sat outside. The patio is great. Lots of tables and TVs. Perfect for watching football! On Tap at the Galleria has 85 beers on tap. That is the most in The Ham. They even have hard apple cider on tap. I love hard apple cider!! We got a sampling of the menu. We started with two of the new appetizers. Toasted Ravioli and Hot Dog Fries. I wasn't too sure about the Hot Dog Fries. They are Nathan's Hot Dogs, cut into stops, battered and fried. Turns out they are delicious! Seriously! The Toasted Ravioli were also really good. I will definitely be eating them on my next visit. For our entrees we got wings and some burgers. I got the new Cowboy Burger. Angus beef burger with cheddar, BBQ sauce, fried onions served on a pretzel roll. It was huge and crazy good. I'm still thinking about it! My friend got the new Stuffed Popeye Burger. It was stuffed with spinach and parmesan and covered in a parmesan spinach sauce. It was like spinach dip on a burger. It was also served on a pretzel bun. SO good! Chicken Legs got the wings. They are his absolute favorite in town. Big and spicy! He got Hot with a side of Scorcher. His mouth was on fire! 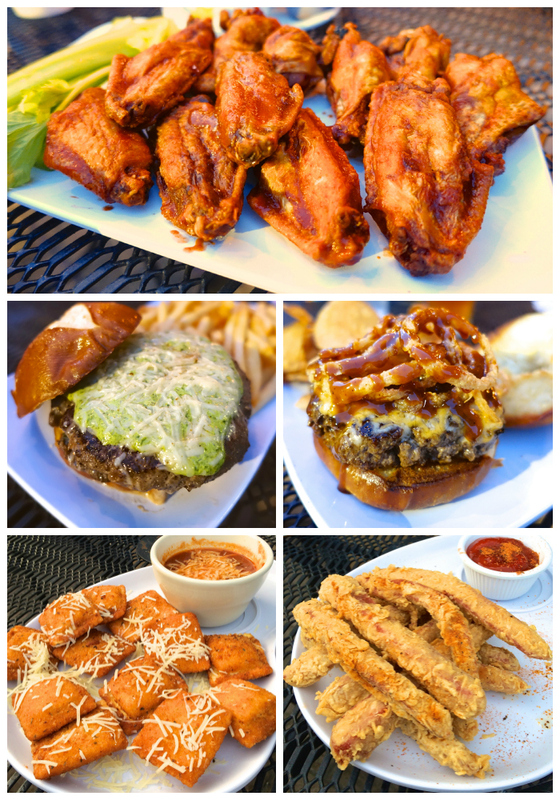 If you haven't been to On Tap lately, go check out the new menu. We might see you there!! We marathoned Breaking Bad on Netflix. We watched the whole series in about a week. I'm so sad it is over. 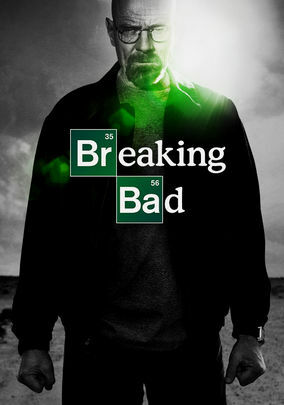 I miss Jesse and Mr. White. I read there is a spin-off coming - Better Call Saul. We are now marathoning Sons of Anarchy. I wasn't a huge fan when we started, but I am totally hooked now. We watched Season 4 in 2 days! We are almost caught up for the new season. I did a cooking show for the Professional Women in Building Council at AllSouth Appliances. AllSouth gave me this super cute chicken pepper grinder as a gift. Seriously, I'm dying over the cuteness! We went to the Auburn game last weekend and practically melted. It was SO hot! In spite of the heat, we had a great time tailgating with all our friends. I loved using all the cute Auburn stuff Swoozie's at the Summit sent. They also have a lot of Alabama stuff. 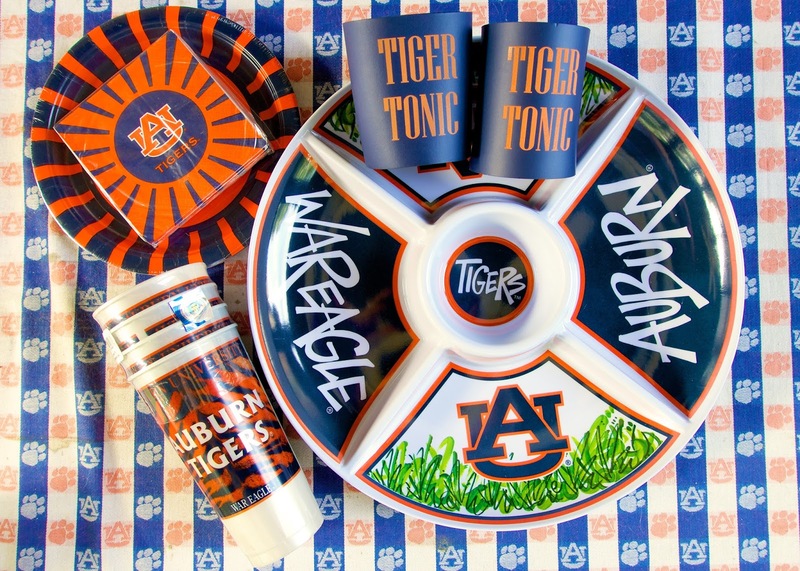 Check it out if you need some new tailgating gear! Hope you all had a great August! So excited to follow your adventures on your upcoming trip...it sounds amazing! Can't wait to see all your trip photos! Ya'll are going to have a blast.